**Disclosure: We received a complimentary meal at Weber Grill for the purpose of conducting an accurate review. No compensation was received. All opinions are 100% our own. School is back in session, so it is time again to sneak out for a lunch sans the kids now and then. Since Weber Grill Restaurant was celebrating its 25th Anniversary right around the same time we needed a lunch out, we had to celebrate with them--of course! 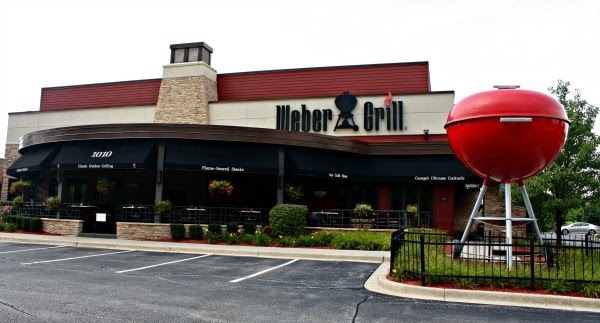 Weber Grill is located in Schaumburg near Woodfield Mall, making it an easy addition to a shopping expedition or even a movie night. 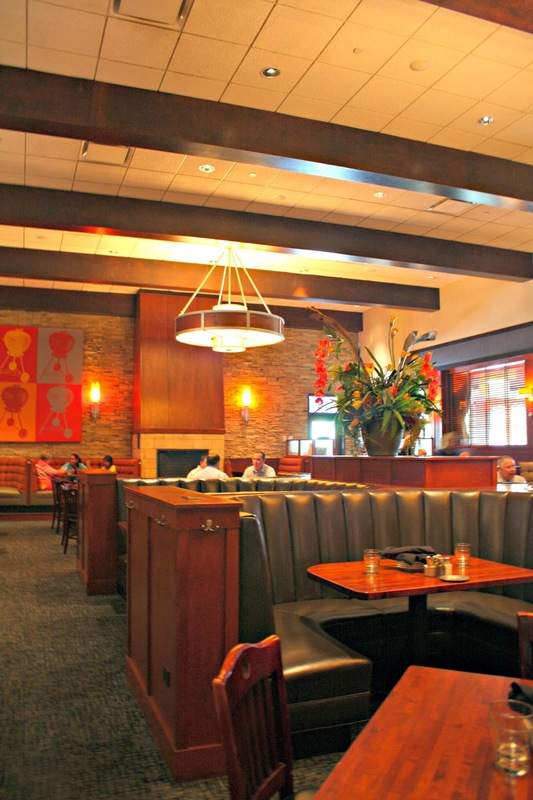 The interior of Weber Grill is spacious and relaxing. We were happy to see that the tables are spaced well and not on top of each other. Really, a place that you could relax for a little bit. For lunch, we each enjoyed a fresh and vibrant salad. I was pleased to learn that the dressings are made in house. Homemade dressings make the salad so much more alive! Bottled dressings always seem so heavy to me--so the homemade dressing makes a huge difference! Planked Grilled Bourbon Salmon and Weber's Signature BBQ Ribs served up the perfect meals for moms needing a wonderful dining experience! Of course, we had to finish our meal with something sweet. 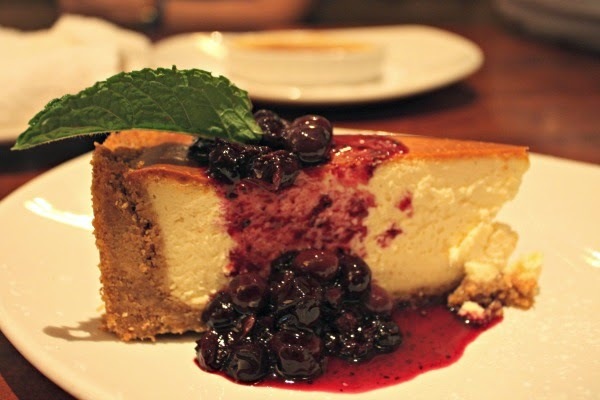 Can you believe the size of this house made cheesecake? Amazing! 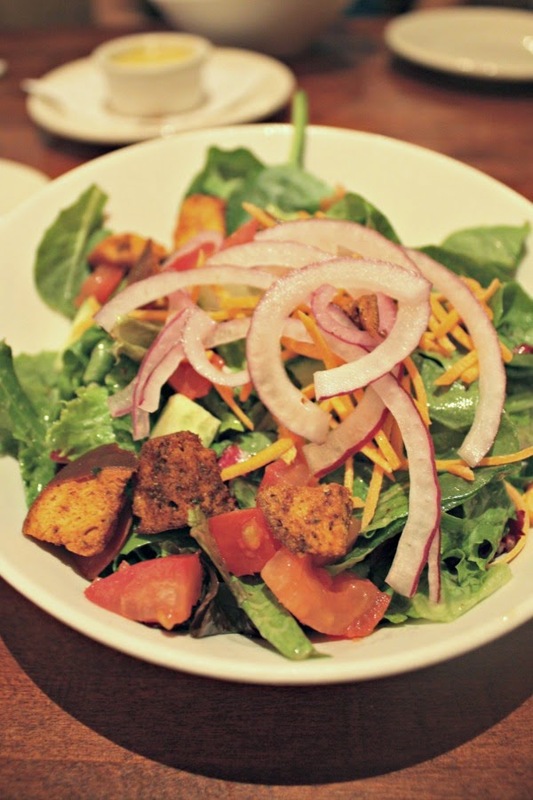 I enjoyed the atmosphere at Weber Grill and found it to be pretty versatile--a restaurant that would appeal to both adults looking for a lunch or dinner out as well as families. The menu has a plentiful range of options, so you can easily choose based on whether you would like to be indulgent or like to eat a little more on the healthy side. 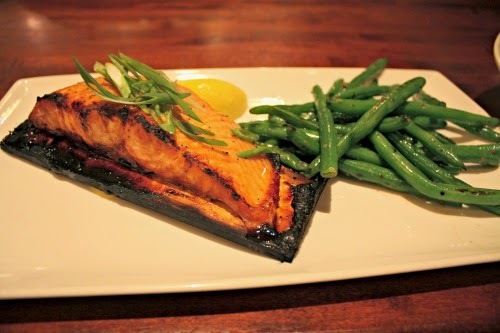 I loved, loved, loved that my salmon came with fresh green beans. They were nice and crisp. A departure from the soggy ones found elsewhere. Service was great! We had a really nice experience. When Mel and I sat down to lunch at The Weber Grill, I was unsure what to expect as I'd never been to the restaurant before. I was quite happy to find they could accommodate my request for gluten-free fare. Our nice waitress told me that their burgers are available with GF buns, which expanded my choices significantly! 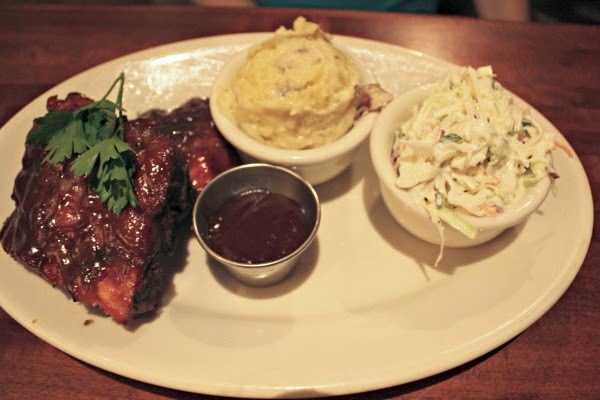 But I opted for a delicious portion of their famous barbecued ribs, with a side of garlic mashed potatoes and tangy coleslaw. 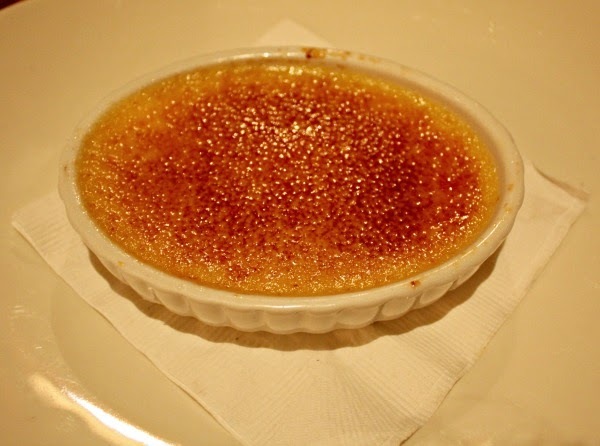 It was preceded by a salad, and for dessert, I chose a scrumptious peach crème brûlée. All in all, it was a very tasty and satisfying meal. The subdued lighting and elegant decor made the experience a pleasurable one. I hope to return soon with my family; maybe I'll try one of their burgers! 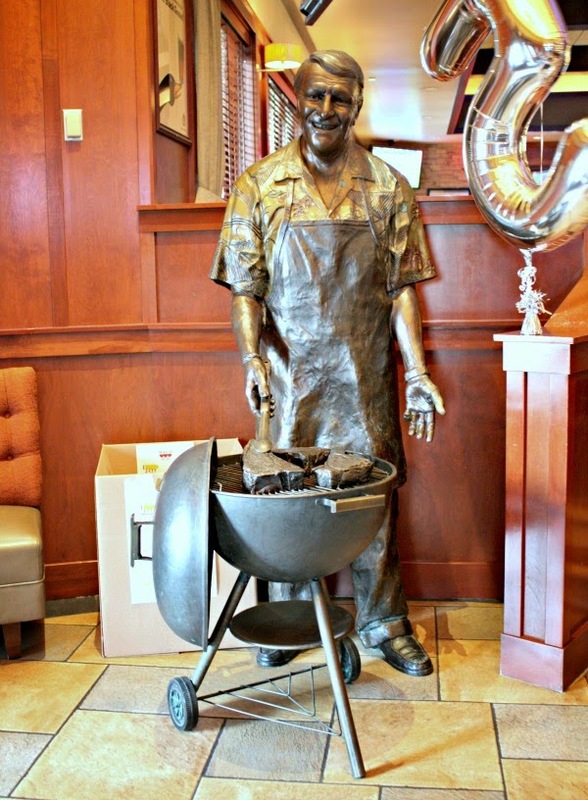 As you an see, we had a great time at Weber Grill Restaurant! As if the large Weber Grill outside the restaurant is not enough to inspire exploration, a great menu based on cooking on actual Weber Grills themselves should be! Plus a little secret--Weber Grill some recipes online so you can try your hand at some of their grill recipes yourself! Of course, you can always order something from Weber Grill to take home to eat while watching the game or enjoying an evening outside and call it a day!